An ecosystem is a living community of plants and animals who share an environment with elements such as soil and climate. Ecosystems can exist on different scales. A small ecosystem could be a pond whereas an example of a large ecosystem could be a tropical rainforest. Encouraging your child to participate in conservation can help them to grow into environmentally friendly adults. Children generally love to be near plants and animals and programs are being implemented by conservationists worldwide to involve children in learning about the conservation of species and ecosystems. The amount of knowledge that a child possesses about our local ecosystems depends on how they are brought up. For example, a child living in the city is going to have a very different amount of knowledge to a child living on a farm in the country. Unfortunately these days, studies have shown that children know far more about the synthetic 'species' Pokémon than about their native wildlife. As parents, the challenge is to stimulate the child's interest in ecosystems by giving them an opportunity to learn about, and experience them first hand. Children need to learn what ecosystems are, what threatens them and ways that people can help to minimise those threats. Your child may or may not take a field trip to assess a particular ecosystem with their school. Even if they do, you can still take your child on a nature walk to a relatively unmanaged area to assess the biodiversity of their own local community. In the country this will be an easy assignment, in the city it is more difficult to find such an area - a local city park may be suitable. Encourage your child to collect different leaf types (ensuring that plants are not unnecessarily damaged). Older children could bring drawing pads and pencils to sketch leaves and insects in this ecosystem. On returning home your child can research the types of leaves and insects that they saw, identifying their names and characteristics. To learn about larger, inaccessible ecosystems you may want to help your child with research for a topic they are doing in school such as tropical rainforests or savannahs. A visit to the local library or some time spent reading on the internet can be very beneficial in learning about the ecosystem of a particular place. Population growth and human activity is threatening the earth's natural resources. Older children could look at how our shopping choices affect natural resources and ecosystems and can either help or damage the natural environment and wildlife. This could also help your child to take a look at the implications of their own choices for other people, the environment and their own lives. The production of raw materials in the goods that we buy often have an impact on communities, ecosystems and landscapes and it is important for your child to understand that there are many resources that will not last indefinitely. It is important for children to learn the necessity for good conservation practices and preservation of their local and international ecosystems, and the best place for them to learn about this is from their teachers in school and their parents at home. 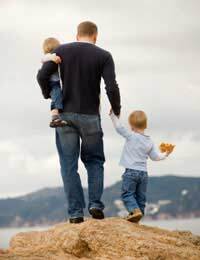 As a parent, you have an important role in educating your child about the implications of their actions now, and throughout their lives in preserving and protecting the environment.